• ACCEPTANCE-ENTIRE AGREEMENT: Acceptance of this Quotation shall be limited to the terms and conditions contained herein and incorporated herein by reference unless there is a specific contract. This quotation shall be deemed accepted by issuance of Buyer’s written or verbal purchase order or by other written or verbal notice of acceptance. When this Quotation is interpreted as an offer, acceptance is limited to the exact terms of this Quotation and Seller herby notifies Buyer of Seller’s objection to any additional, missing or different terms in the Buyer’s acceptance. If this Quotation is interpreted as an acceptance of Buyer’s offer, this acceptance is expressly conditioned upon Buyer’s assent to any additional, deleted, or different terms (from Buyer’s offer) on this form. These terms and conditions constitute the entire agreement between the parties and supersede any prior or contemporaneous representations, warranties, proposals, terms and conditions or agreements, whether oral or written. 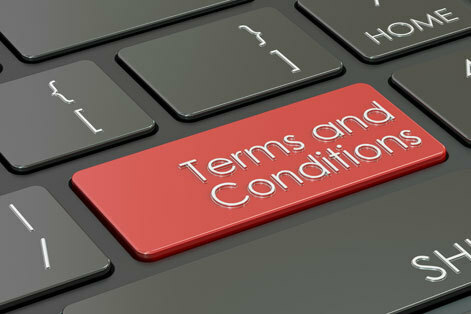 No change to or modification of these terms and conditions shall be binding upon Seller unless signed by an authorized representative of Seller or a pre-existing contract. In that case, only the issues specifically addressed in the Contract would apply. All other un-addressed items refer back to the Terms and Conditions here. • LATE CHARGES, STORAGE, AND COSTS: Buyer shall pay interest at the rate of 1.5% per month on all overdue contract or invoice balances beyond mutually agreed upon terms. Buyer further agrees to pay all costs and expenses, including reasonable attorney’s fees, incurred by Seller in collecting overdue contract or invoice balances or in otherwise enforcing the terms and/or provisions of this contract. Buyer is responsible for mold/tool storage fees for molds that do not run in a 12 month period. Buyer will be charged a storage fee on all mold and tool components inventoried over 12 months at a rate of 600.00 per pallet per year or 50.00 per mold per month for a minimum of 6 months (the lesser of the two) unless otherwise agreed upon in writing by both Buyer and Seller. • APPLICABLE LAW AND JURISDICTION: This contract shall be governed and construed in accordance with the laws of the State of North Carolina, without regard to principles of conflicts of law. Buyer hereby consents to the personal jurisdiction of the state and federal courts in North Carolina with regard to any lawsuit arising out of this contract, or any goods or services provided by Seller to Buyer or any agreement, obligation, or transaction between Seller and Buyer. • LIMITED WARRANTY: ALL PRODUCTS WILL BE PRODUCED TO SPE COMMERCIAL TOLERANCES UNLESS OTHERWISE AGREED UPON BY BOTH BUYER AND SELLER IN WRITING. Seller warrants only that its product will substantially conform to written specifications acknowledged in writing by Seller. Except for the foregoing limited express warranty. SELLER MAKES NO EXPRESS OR IMPLIED WARRANTIES, WHETHER AS TO MERCHANTABILITY, FITNESS FOR A PARTICULAR PURPOSE OR OTHERWISE, and WITH RESPECT TO PRODUCTS SOLD OR OTHERWISE PROVIDED BY SELLER TO BUYER. NO VERBAL STATEMENTS BY SELLER’S AGENTS OR EMPLOYEES MADE BEFORE OR AFTER THE PERFORMANCE OF THIS CONTRACT, AND NO SAMPLES SUBMITTED TO THE BUYER SHALL BE CONSTRUED AS CREATING ANY WARRANTIES, EXPRESS OR IMPLIED, FROM SELLER. • NON-CONFORMITY: In the event of any defect or non-conformity which causes Seller’s product not to comply with the foregoing limited express warranty, Buyer’s remedy for such breach of warranty shall be limited to having Seller repair or replace the product, or issue credit not to exceed the value of the parts subject to the requirement that Seller is provided with prompt notice of the defect of non-conformity and is able to verify the same. Any claim by Buyer for any Breach of Seller’s limited express warranty with respect to any product must be made by Buyer to Seller in writing within 15 days after delivery of the product by Seller or such claim shall conclusively be deemed to have been waived by the Buyer. Seller does not accept any charge backs such as inspection fees, re-work, or other fees but not limited to. Buyer shall pay all freight costs incurred in returning the defective or non-conforming product to Seller for examination and repair or replacement (unless otherwise agreed upon between Buyer and Seller), if appropriate. IN NO EVENT SHALL BUYER BE ENTITLED TO CLAIM OR RECOVER ANY INCIDENTAL AND/OR CONSEQUENTIAL DAMAGES FROM SELLER OF ANY NATURE WHATSOEVER, INCLUDING, WITHOUT LIMITATION, DAMAGES FOR LOST PROFITS OR LOSS OF USE RESULTING FROM ANY DEFECT OR NON-CONFORMITY IN SELLER’S PRODUCT. In the event Seller fails to repair or replace a defective or non-conforming product,as aforesaid, Seller’s liability shall be limited to return of the purchase price paid by the Buyer to seller for such item. Furthermore, in the event that, notwithstanding the foregoing, Seller is determined to be obligated to Buyer for any damages or costs related in any manner to Seller’s Product or the performance of any purchase order, Seller’s liability will in no event exceed the price paid by Buyer to Seller for the Product. These provisions allocate the risks related to any defect or nonconformity in Seller’s Products or performance or any purchase order between Buyer and Seller and Seller’s pricing to Buyer reflects such allocation of risk and the contractual limitation of Seller’s liability stated herein. • CREDIT APPROVAL, PAYMENT TERMS, AND ORDER ACCEPTANCE: All orders are subject to acceptance at Seller’s corporate office and no order is binding upon Seller until such acceptance occurs. Order acknowledgement will be within 48 hours of receipt. Acceptance of any order submitted by Buyer pursuant to this Quotation shall be subject to credit approval by Seller. If, after initial credit approval, Buyer’s credit becomes unsatisfactory to Seller, Seller reserves the right to terminate any order upon written notice to Buyer. In that event, Seller shall have no liability to Buyer for such termination and Buyer shall not be entitled to assert any claim against Seller for such termination. PAYMENT TERMS ARE 30 DAYS UNLESS OTHERWISE NOTED. BUYER CAN BE PLACED ON CREDIT HOLD FOR NON-PAYMENT BEYOND AGREED PAYMENT TERMS. • ORDER CANCELLATION AND RETURNED PRODUCTS: No order in the process of production is subject to cancellation, deferment or change in specifications without written agreement by Seller. Cancellation charges shall be determined by Seller, in its sole discretion and will include cost of all labor and material ordered by Seller or in process for the Buyer’s order in question. No products shall be returned to Seller without Seller’s prior written consent and Buyer’s payment of such return charges as Seller shall determine, in its sole Discretion. Cancellation must be in writing with an acknowledgement back from Seller. If Buyer discontinues or changes an existing product, Buyer must notify Seller in writing and receive a written acknowledgement from Seller confirming acceptance. Buyer is responsible for all Seller inventories associated with discontinued and/or redesigned components. • DELIVERY DATES: Delivery dates are estimated based upon conditions prevailing at the date of quotation and are subject to change based upon conditions at the date of order or any subsequent change in conditions which materially affect Seller’s manufacturing schedule or ability to acquire goods and materials necessary to complete Buyer’s order. • NONSTANDARD MANUFACTURED ITEMS and MATERIALS: All nonstandard manufactured products will be supplied only on condition that the Buyer accepts overruns and underruns not exceeding 10% of the quantity ordered, to be paid prorata, unless otherwise specifically arranged and agreed to in writing by both Buyer and Seller. If minimum order requirements for raw materials are larger than amount of material required to complete an order from Buyer, Buyer is responsible for all materials purchased. If Buyer removes their molds, tools, fixtures for any reason, Buyer is responsible for all inventories (whether from direct purchase order, contractual obligations, or other written or verbal requirements) including finished goods, work in process, accessories, and raw materials as well as a zero account receivable balance before applicable tools are released. Seller has the option and will attempt if there is an application to consume inventories with the agreement of the Buyer. If no application is available, Buyer is responsible for all materials used to produce Buyer’s finished products. • DELIVERY TERMS: Unless otherwise agreed upon in writing by Seller, all products ordered by Buyer shall be shipped FOB Seller’s facilities located in Greensboro, North Carolina (or FOB Seller’s supplier’s facilities if products are to be shipped directly from such facilities). Buyer shall have all risk of loss following delivery of the product to Buyer at Seller’s facilities in Greensboro, North Carolina (or at Seller’s supplier’s facilities if products are to be shipped directly from such facilities). the products from Seller’s supplier for reasons beyond Seller’s control, machine failures, embargoes, government regulations, military service, war, delays by carriers, lack of shipping facilities, unavoidable casualties, fire, storms, explosions, epidemics, civil disturbances, acts of God or public enemy, or any other causes or conditions in addition to the foregoing which are beyond Seller’s control. • SHORTAGES: Claims for shortages, other than lost in transit, must be made to Seller in writing within ten (10) days after receipt of shipment. • PRICES: Quotations are in effect for 30 days unless otherwise stated. Seller has 48 hours to accept requested ship date on purchase orders or provide an alternative achievable date. Prices shall be those in effect at the time of shipment based on raw material cost as well as inventoried product for an extended period of time or an extended blanket order from Buyer. Delivery of raw materials to Seller may change following acceptance of order. Buyer is to be notified in writing of such change. Prices shown do not include any sales, excise or government charge payable by Seller to federal, state, or local authority. Any such taxes now or hereafter imposed upon sales or shipments will be added to the purchase price. Buyer agrees to reimburse Seller for any such tax or provide Seller with acceptable tax exemption certificate. prevent such party from enforcing any and all provisions of this contract as to any subsequent breach or default by the other party under any provisions of this contract. • CUMULATIVE RIGHTS: All rights and remedies of Seller under this contract are in addition to Seller’s other rights and remedies provided by law and are cumulative, not alternative. • SEPERABILITY: If any provision of this contract is or becomes, at any time, under any law, rule or regulation, unenforceable or invalid, no other provision of this contract shall be affected thereby and the remaining provisions of this contract shall continue with the same effect as if such unenforceable or invalid provisions shall not have been inserted in this contract. • DESIGN ENGINEERING AND QUALITY ENGINEERING FEES: If Seller provides any design or quality engineering services on any Buyer conceptual products, new products, or existing products without compensation, Seller will produce parts from the tools/molds in question for a period of not shorter than two years. If the molds are in production at Seller for less than two years, Seller can and will invoice for design or quality engineering and consulting fees at Seller’s published rates.